Online Configurator using out-of-the-box Autodesk Inventor! Online Configurator using out-of-the-box Autodesk Inventor! I am currently alpha testing a new online configurator application that may be of great interest to our clientele here at ADI. It is an online capability for configurators that could drastically improve sales for those of you that engineer/build to order. Although I have uploaded a cabinet, this online configurator would work with ANY configurable product. If your clients have the ability to completely configure whatever version of your product that is possible, get pricing and delivery information, and order immediately if desired, just think of the increased sales you would get! And what makes it even better, all of the information to build the product is generated at the same time! Go to the online configurator, then click on parameters in the upper left area, then pin the parameter pane open to use it. 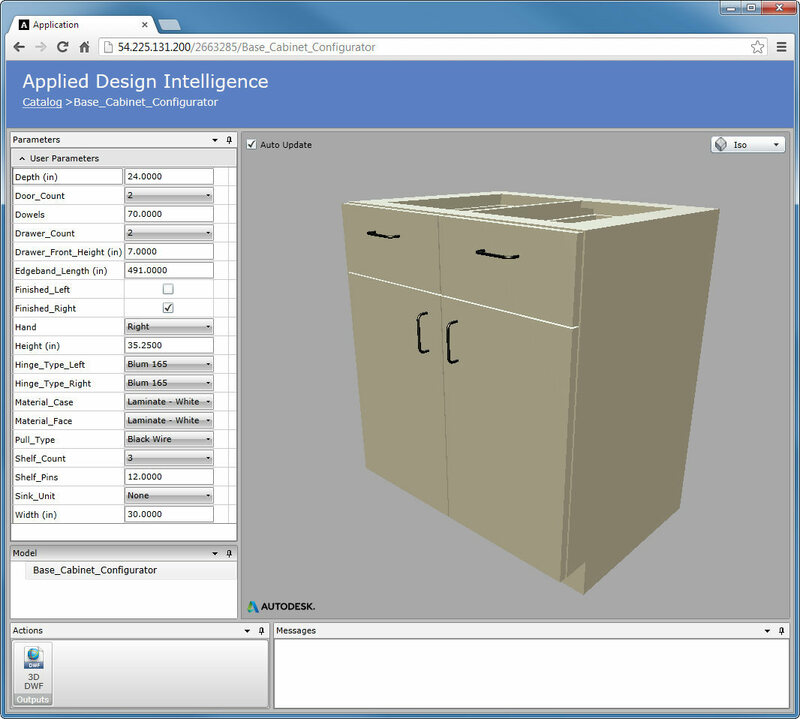 You can now configure the Base Cabinet that is one of the source files included with a subscription to the Cabinet Web Portal. Remember that this online configurator is an ALPHA product! It is still in the early stages of development. What I am looking for is input as to how you would use the service, and how it needs to be developed to make that work. Some feature may not work yet, and some may not work as you would like them to. Please use the comments below to give your feedback. 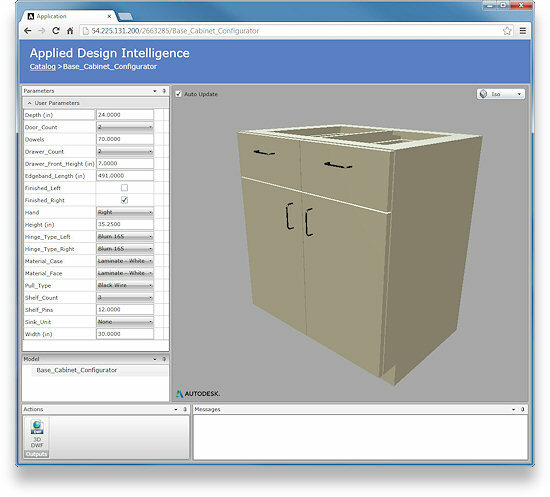 ‹ Revit Interoperability in Inventor 2014!